Of all the aerial videos I’ve produced over the past few years, this one is absolutely my favorite as it combines technology, automobiles and creative video production techniques. And, it’s fun! In this video, I found myself in possession of a 2014 Mini Cooper Convertible for a long weekend. The backstory is that my car was in the shop for scheduled maintenance and the dealer was kind enough to provide the Mini Cooper as a loaner. Prior to that day in September 2014, I had only driven a Mini Cooper once and that was many years ago and personally, I was unimpressed. The issue I had was they felt tiny inside and out and I felt like a flea when driving next to the big trucks on the highway. Fast forward a few generations of Mini evolutions and this model is greatly improved than the one I had driven nearly ten years previously. While it had the quirky dash buttons that are now synonymous with the current Mini Cooper models, it was truly fun to drive. While I don’t review cars for a living, I can best describe the driving experience to that of an early 1970’s MG convertible. It was solid, handled well and a blast to drive. 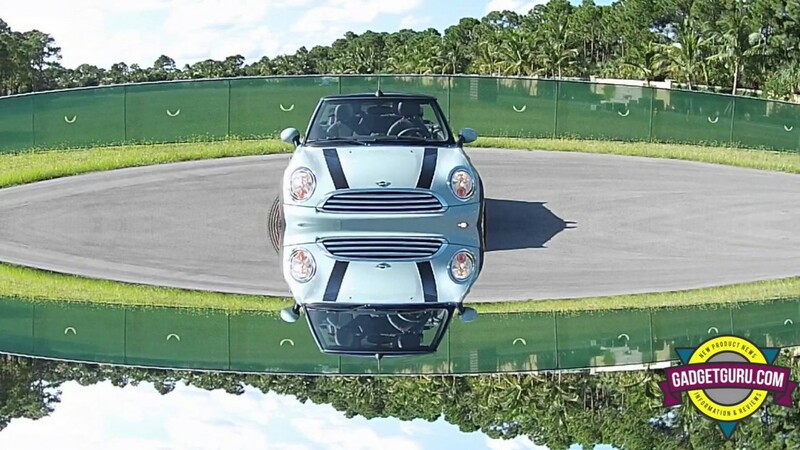 I was having so much fun with this car, I decided to pull out the DJI Phantom 2 Vision + drone (I prefer the work “copter”) and produce a short, fun video of the 2014 Mini Cooper. The shot above was captured by a Canon XA-10 camcorder that was positioned on a tripod. As you can see, I also had some fun experimenting with some some new, somewhat artistic visual effects when editing this video in Apple Final Cut Pro X (FCPX). Allow me to state that I had permission of the property owner to fly in this area and flew within all FCC requirements for recreational usage. No consideration whatsoever was provided to me for the production of this video. And, no Mini Cooper’s or Drones were harmed in the production of this video! Enjoy the video and of course, comments are welcomed.